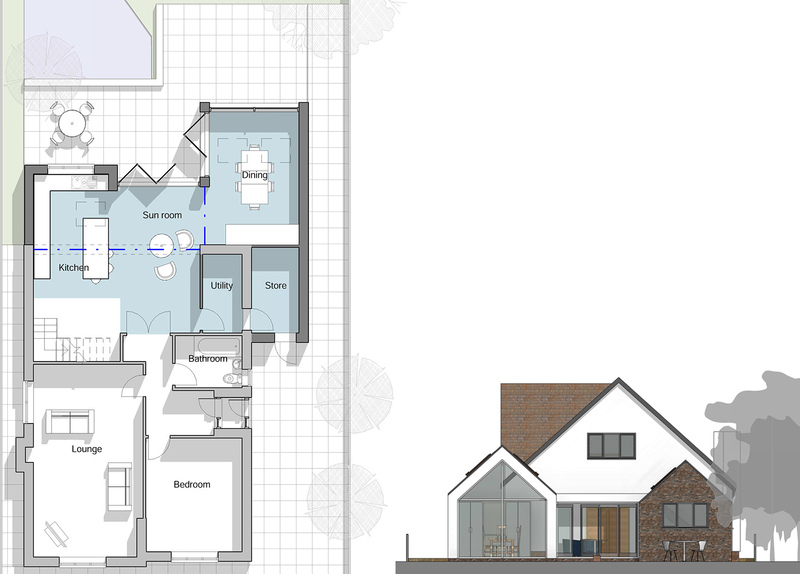 Artform Architects were appointed to design a contemporary single storey rear extension to an existing 1970’s bungalow. 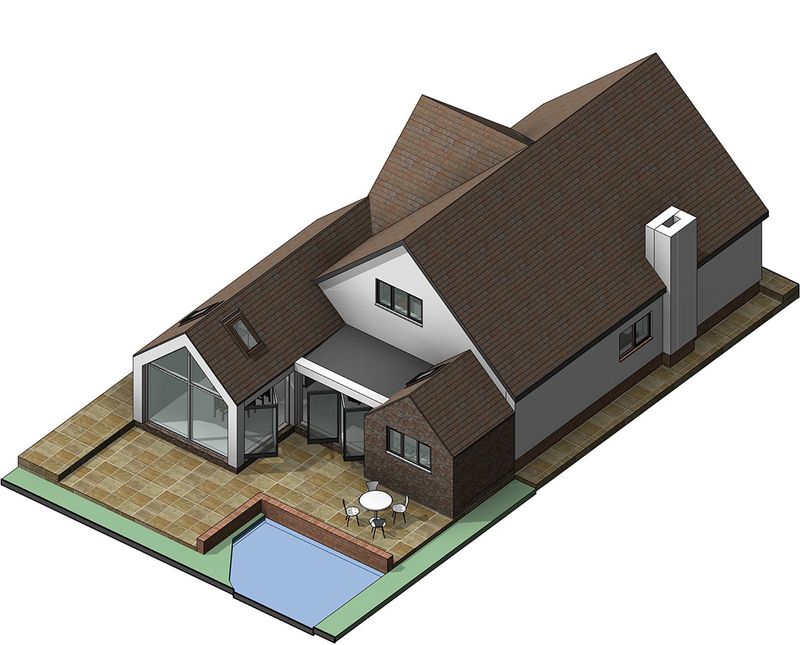 The client was keen for the house to better address the garden and to have a much improved internal layout and arrangement of rooms. 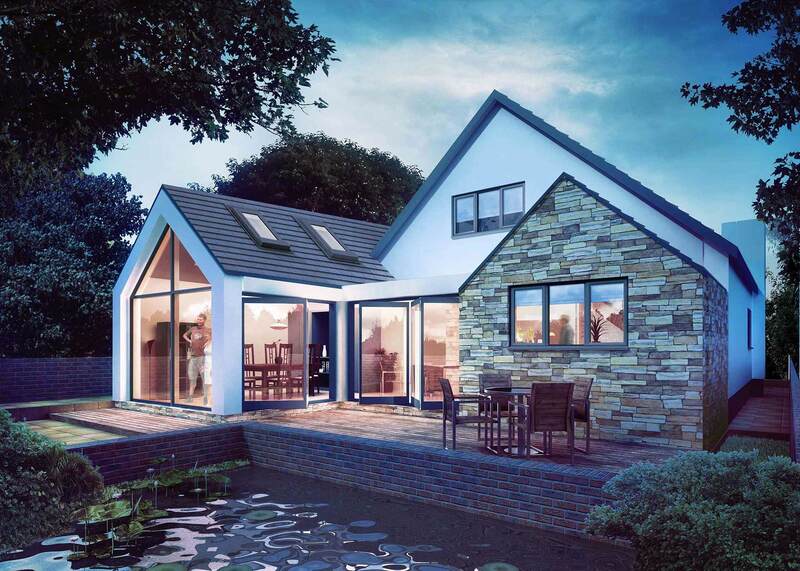 The design reflects the requirements of the client and creates an open-plan space at the rear of the house for a combined sun room and kitchen. Adjacent to this is a dining area with a fully glazed gable end facing the garden. Sliding glazed doors open the extension out to the garden and maximise natural daylighting. The external apperance has a modern aesthetic whilst respecting the local context through its form and materiality. “Our family has built extensions on three different properties in recent years and appointed Artform Architects for each one.